Making It As A Middle School Teacher: Sunday Sampling...Tons of Great Info! It seems there's so much going on in the blogging world lately, that I need a post about once a week to catch up on odds-and-ends and let you know what's ahead! So here it goes for this week. I posted earlier about a new blog called Endless Pinabilities. We are off and running and gaining new followers daily. This week we are debuting our first-ever theme week! 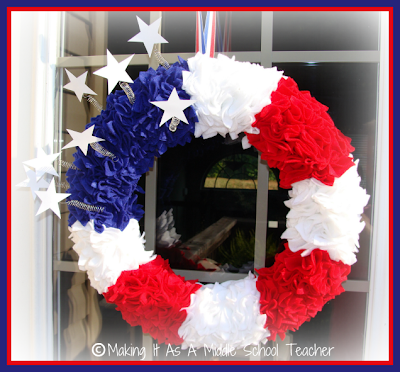 The authors will share some of our favorite pins about a particular theme and even share some crafts, foods, etc. that we've created from on our Pinterest boards. 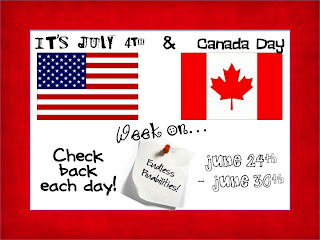 This week's them is July 4th and Canada Day. Go check it out and see 3 posts for today, including one of mine. Here's a preview of my craft! I'll post a tutorial later. I have a great July 4th Board that you may want to follow as well. 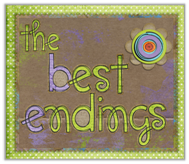 I've also posted a new book review on The Best Endings. Click on over to see which book I've previously posted about and which one I just read. Both are excellent...especially if you teach The Middle East in any form or fashion. Great perspective! 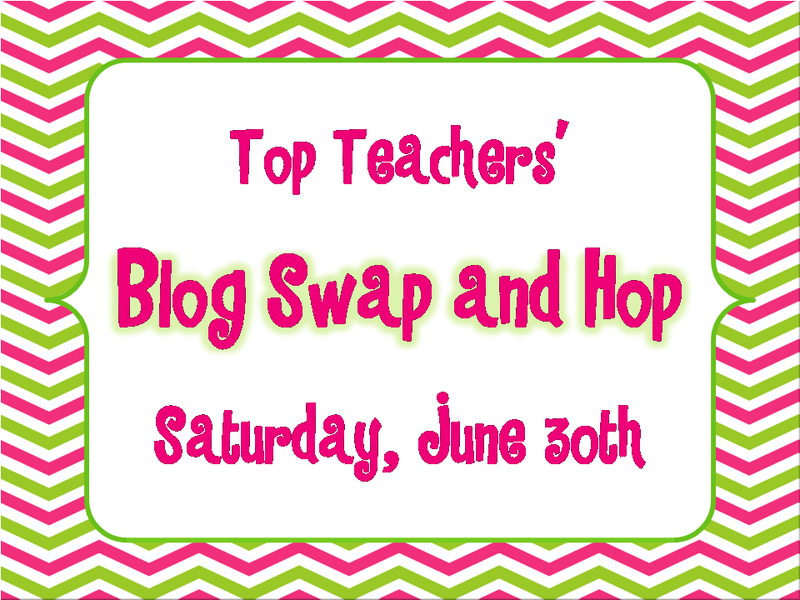 Saturday, I'm taking part in the Top Teachers' Blog Swap & Hop! 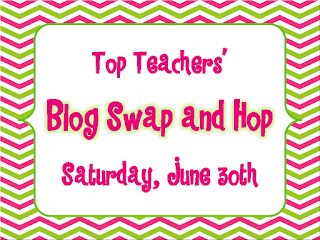 A large group of us will be swapping blogs so you can hop around and find some new inspiration! 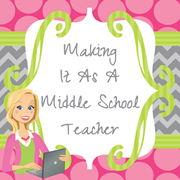 I'll be guest blogging for someone and someone else will be guest blogging for me...and this set-up will be happening all around the teacher blogosphere. It should be a lot of fun. 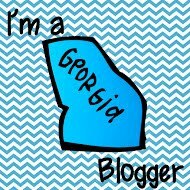 There'll be a linky at the bottom of each bloggers post so you can hop around easily. 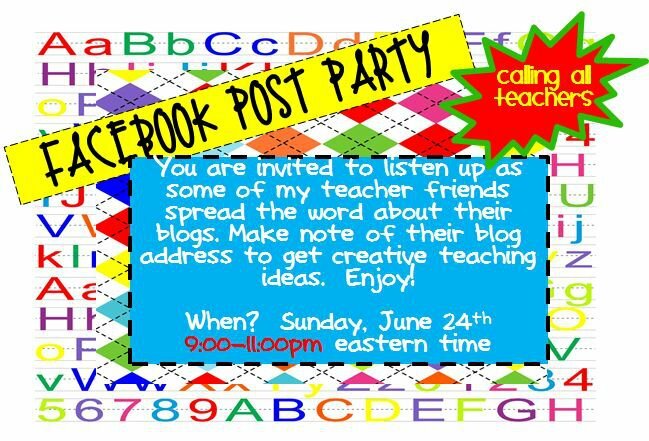 Also, don't forget about tonight's Facebook Post Party from 9 - 11 Eastern. Lots of teacher bloggers will be leaving comments with links to their pages and blogs where you might even find a freebie or two! This is a new idea for us, so we're keeping our fingers crossed that we have all the kinks worked out! I think that might be it for now. I will have another post today for the Facebook Post Party freebie that I'm giving away! My week look pretty much looks like yours :) No being bored this summer, that's for sure!